I had this mad idea of going to Paris for 24 hours. Just to attend the Hermes sale. I know. I know. Pretty crazy. You'll have to forgive this Kiwi girl because I still find the idea of being able to get to Paris within 2.5 hours by train pretty incredible. I still get a little giddy whenever I look up all the flight routes on EasyJet. Wow! I can be in Nice in 1.5 hours!! Or Rome in 2! What about Prague! So cheap! You get the idea. Irene, a good buddy of mine decided to join in the fun at the last minute so off we went, each carrying a canvas shoulder tote sans luggage. This was her very first trip to Paris and I was to be her tour guide. I'll have you know that I'm practically a Parisian having been to the Romantic City numerous times and thoroughly butchered the language to bits on every occasion. That's the beauty of being an Asian trying to speak French. You're forgiven before you even utter a word. I get "Pardon madame, do YOU speak English?" a lot. "Pourquoi? ", I ask. " Mais je parle français". And I get a very diplomatic answer "That's ok, madame. I speak English". Le sigh. By the time we arrived at Gard du Nord, I was getting a little weak in the knees from hunger. At the risk of me turning into a snarling Hades, I dragged her off to get our carte orange from the ticket machine and off we went in search of my favorite Vietnamese restaurant in Chinatown for a bowl of pho. It was nearly 11pm by the time we arrived at our hotel to check in. I looked askance at the young man behind the counter and wondered the reason behind the strange grin on his face. He had this nudge nuuuudge wink wink thing going on. Waaaaaiiit a minute. It turned out we were upgraded to an executive suite with a large bed. The honeymoon suite. He was probably thinking that these two ladies were here for some hanky panky.With each other. When he came back later with an extra towel, he was still trying to peer past my shoulder to see evidence of our naughty tryst. tsk tsk. The next morning..... actually, 3.5 hours later, we were up to get ready for the mad Hermes sale at Palais de Congres. I've arranged to meet a friend there who had flown in from Japan the night before. I was barely coherent from the lack of sleep but we stumbled upon one of the most enthusiastic ladies in the queue. She'd flown in from Hong Kong with her indulgent hubby in tow. She could barely contain her excitement while the rest of us looked bored, jaded and cynical. It was also the most organized Hermes sale I've been to and conversely, the one with the worst selection ever. In fact, Irene and I were the first to leave. A word of advice to those who'd like to attend future Hermes sales, please ensure that you check EVERY single item before leaving as many have flaws. We raced over to see the Eiffel Tower and bought a few tacky souvenirs. Next stop: Isabel Marant store at rue de Saintonge. What better way to indoctrinate Irene into the very best of French fashion than to introduce her to Hermes and Isabel Marant. While I was trying on a Kady leather jacket, she was busy ogling two gorgeous ladies carrying large Hermes Kelly bags on their arms. I think I may have made a new Hermes convert here. We decided to forage for some lunch in the area before heading back to the train station. It was downright depressing trying to eat while surreptitiously watching 6 feet tall gangly and very young models strutting past us in 5 inch heels. Yes, it was the Paris Couture Week and there were a lot of beautiful people around. Au revoir, Paris! We'll be back again. Lovely photos, and even better post! You have magic skills in writing and photography! I wish I can explore it and know it as good as you one day! Wow, great little adventure! Sooooo did you get something from Hermes - you don't mean you left empty handed after all?! I'm so excited for you, Anna. I can easily envision the wonderful journey ahead of you and unforgettable adventures that are waiting for you. You are sooo funny!. And your bedroom experience is similar to one which I had many years back when I took a female friend back to Hong Kong with me and due to the lack of beds (this is Hong Kong after all), she shared a bed with me. After a week, my mother took me to one side to ask me if I had something to tell her?!? I think Anna said it all really as well - I look forward and love reading your posts because they actually say something intelligent, in a witty way and with humour - so rare. I love looking at pictures on blogs but I love reading the ones where people have a little tale to tell. Hahaha....I can just imagine what your mom said! I'm amazed your mother was restrained enough to wait. Mine would've asked me on the spot. Are you tired of me telling you how awesome your posts are? The way you write and tell stories makes me feel like I'm experiencing everything firsthand and I just love your sense of humor sweetie! Such a cool quick trip! :) Great pics! Hugs back! :) Hope you had a great weekend! I cannot tell you how jealous I am that one you live in England and two that you can just take the train to Paris!!! Sounds like quite a little adventure! Love it!! Your pictures are amazing!! Such a fun post. That's not crazy at all- it's just too easy to go to Paris from London. Perfect for a special lunch. oh oh oh! Couture Week is one of my FAVORITE times to be in Paris! How awesome you can explore any countries in Europe in just a few hours, i am beyond jealous at this point. Despite the bad selection they had to offer at the sale, i have a feeling that you were not disappointed even to come home without anything from Hermes. It sounds like a fun girl friend trip to spend time with friends. Plus still have a full pocket of money to splurge on somethibg else too. Le sigh, indeed. I'm so green with envy that Paris is just about right at your doorstep. One day, friend - we will have to spend a long weekend together raiding IM and Hermes and Eric Bompard and Marriage Freres and every patisserie along the way. ONE DAY! Would love to join you in your next round of cheese and scrawny models, your pics are always too divine! I only once went to a fashion show in London featuring one of the Kidds (can't remember which one??) who was so thin to be unwatchable. So startling I can't even tell you what designer it was! too funny about the hotel employee--if i lived a 2.5 hr train ride away, i'd have joined you ;)! is the hermes sale open to the public? they have an hermes sample sale in nyc but i think you need to have an invite...i guess my lowly couple of clic clac bangles doesn't merit me one! You're welcome to join me next time :) Yes, the Hermes sale in Paris is open to everyone. You don't need an invitation. The only thing is to go very early on the first day so you get the best of the selection and pop in on the last because you'll get an even bigger discount. Ah..Paris. How I miss thee! I'm so glad that you and your friends enjoyed your time in Paris! The high-speed rail is something to behold isn't? I've never taken the Eurostar, but I was instantly a convert to trains the second I stepped on a TGV.I actually prefer taking the train over the budget rail lines if time allows it. I went to Hermès once when I was studying in Paris, but not Isabel Marant. I knew that I could not afford to buy Hermès for sure at the time, but Isabel Marant was a different story. :P Are you going to post any of your finds soon? If so, I look forward to that post! I'm with you there. I adore the TGV. Not so much the Italian trains though. I only bought a few Hermes shawls but I would probably be more excited if there were jewelry. *Oops! I meant budget airlines but I think you got the point. I've taken the italian trains-the old ones not the new high speed ones so I can't really compare them to the TGV. I do wish though their system was less tiered so that high speed rail would be more of the norm in Italy(and therefore more affordable) than having a whole array of options. I agree. I was pretty stunned when I got on their trenitalia website and noticed how things have changed since I last bought a ticket which was more than 7 years ago. The price has gone up but the service and the trains are still the same. I haven't taken the new high speed trains only because the tickets are ridiculously priced. Being your friend in real life would be quite dangerous, I think. I've developed a fascination with Isabel Marant from just reading your blog! Ha ha.. the suspected tryst at the hotel! I bet Paris has such an amazing vibe. Your trip sounded amazing! What an adventure! And you are a funny girl, M! I am glad you and your girlfriend enjoyed yourselves in Paris. My sister is in the UK for work and she recently took a train to Paris too! I love the pictures you took, especially the first one. Reminded me of my first trip there eons ago. What a good laugh ! Very entertaining to read your speedy (quicky ?) adventures ! Did you buy anything, by the way ? i never tried a short trip like yours! i think it is really a great adventure but i don't know if my body could take it.. the incident in the hotel is funny indeed! i've lived in paris for 3 years and honestly there are so many things and places i still have in my agenda! i know its too pretty and should really fall in love every time you visit. marlene, that is so awesome! that lady is your muse...hahaha! it truly beats traveling by yourself, which can be lonely at times. i can't believe the hotel guy thought you two were gay!?! omg'd! assumed much! i know you love hermes and isabel marant, so i'm glad you got there. i would've done the same thing. i can't stop laughing at the english speaking part. hahahaha have a great day girl! 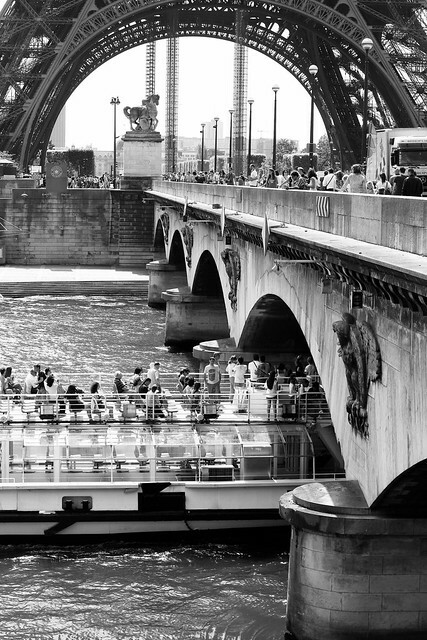 I'm so envious that Paris is just a mere 2.5 hours away for you. What a fun little jaunt and so funny about the hotel receptionist. We had a somewhat similar experience when I went with 2 of more gfs during college only it was our next door neighbor. I remember having some incredible pho the last time I was in Paris. I will have to hit you up for some tips the next time I go. You'll be amazed, Cecilia how many items with defects are included. I've seen a small chip on Horn jewelry, plenty of color runs/thread pulls/discoloration of shawls. Same goes for their enamel bracelets. So it's important to check really carefully before paying at the till. What a fun adventure. I am living vicariously through you!! I get giddy at the thought that Europe is only 6 hours away (as opposed to 24) and would probably hyperventilate with excitement if I had your travel options at my fingertips! 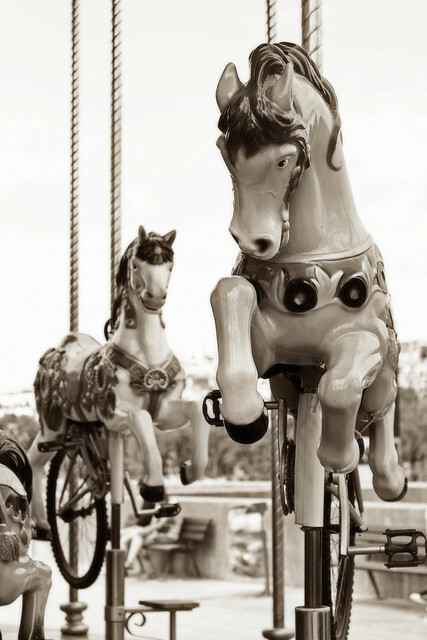 Your photos are gorgeous - I love the crispness of the carousel horse. How disappointing the Hermes sale sounded... Oh well, hopefully that left funds for Isabel Marant? Sounds like you had a really fun day! Your hotel situation really made me laugh, I've had similar happen to me a few times before too! Hah! Such a shame that you didn't get anything from the sale after going all that way, I think most sample sales are very hit & miss like that though. I do think it's bad that a lot were flawed, I hope they were generously marked down, though I would guess that they were not! What a fun adventure! I will be going to Paris in Oct and was wondering if you could share the name of the Vietnamese restaurant you went to? Gotta make sure we have Asian meals for my dad! Pho: +33 145836115. Metro: Tolbiac. Can you let us know the name of the hotel that gave you the upgrade? ;) Shame you didn't spend much time there. Thank you for your kind words :) It was Villa Brunel. They're great. My favorite is the Etoile Saint Ferdinand which is a mere 3 minute stroll from Palais de Congres. Thank you! 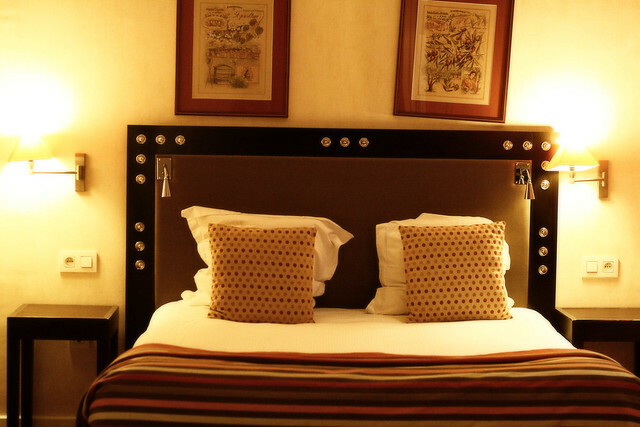 I've checked the Etoile Saint Ferdinand on booking.com and it seems a very good deal for the location. ROFL I love the "butchered language" bit. I do that often too. Butchered it to bits that it's never the same LOL!!!! and PS-- the photos? AMAZEBALLS!!!! The same thing happened to me while trying to speak Italian in Rome. It was a little humiliating and I could hear my college Italian professor in my ear. He once told me that the entire verbal system was lost on me hehe. Guess he was right ;). I'm so jealous you can be in Paris in 2.5 hours! !